The exhibition Pipilotti Rist: Pixel Forest at the New Museum in New York City is the most comprehensive presentation of Pipilotti Rist's work in New York to date. Rist's show occupies the three main floors of the museum. It includes work spanning the Swiss artist's entire career, from her early single-channel videos of the 1980s, which explore the representation of the female body in popular culture, to her recent expansive video installations, which transform architectural spaces into massive dreamlike environments enhanced by hypnotic musical scores. 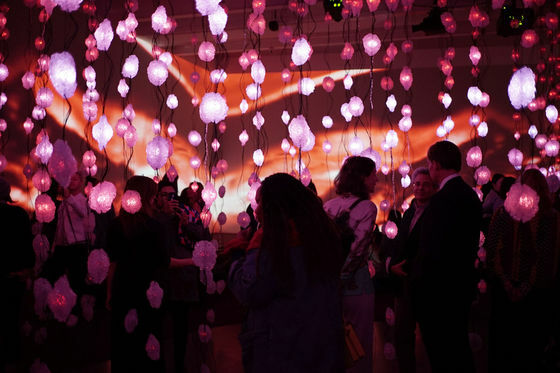 Pipilotti Rist: Pixel Forest features a new installation created specifically for this presentation and also reveals connections between the development of Rist's art and the evolution of contemporary technologies. Ranging from the television monitor to the cinema screen, and from the intimacy of the smartphone to the communal experience of immersive images and soundscapes, the exhibition charts the ways in which Rist's work fuses the biological with the electronic in the ecstasy of communication.